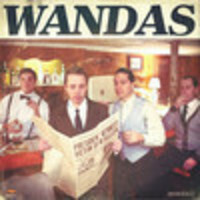 "The four-piece group The Wandas separate themselves from the large pack of Boston pop bands with a tightly designed, smart sound. Besides the production from Patrick Krief (of The Dears) and the mastering of Ryan Morey (The Stills, Arcade Fire), the vocals from Keith McEachern and friends are a delight. Love this! Where did your name originate?